From SmartAppsforKids.com: "In my opinion, the full version is a must-have for parents of children working on increasing expressive vocabulary, as well as the therapists and teachers who support their learning. 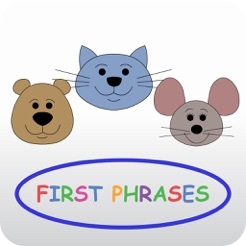 First phrases is creative, utilizes the iPad’s features in effective ways, and is engaging for young children. Highly recommended." With 6 different characters performing them, there are 456 possible animations so your child will never be bored! 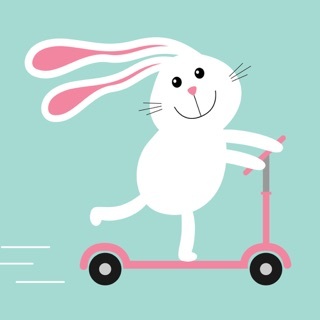 There are 17 simple verbs such as drink, eat, wash, and 12 verb + preposition forms such as jump on, take off or turn on. Each verb form is paired with various nouns to make a logical phrase. It is also a great way to teach the article “the” in a meaningful phrase context. In addition, it includes user settings for up to 15 children, making it an excellent choice for professional use by a speech-language pathologist or special needs classroom at a fraction of the cost of traditional educational software, with no additional “professional” version fees. How you play: Tell the cute animals what to do! 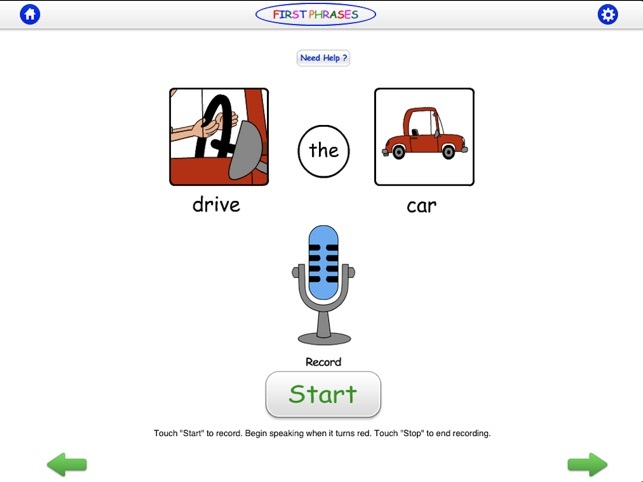 By touching the illustrated parts of the phrases in order (verb+ object forms: “eat the carrot”) the child hears the pre-recorded spoken phrase modeled. The user has the option to repeat this action once, twice or three times in the settings for maximum auditory input. The child then watches the animal of their choice (bear, mouse or cat) perform the command to help associate the words with their meaning. Now it’s the child’s turn to say it and tell the animal what to do! Touch the microphone and record, listen again, and watch the animal follow your direction. Use the optional visual support to help your child remember what to say! 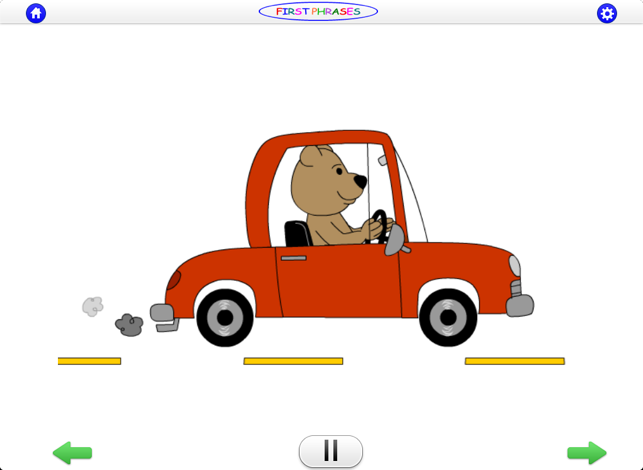 This format is especially powerful for children with speech delays and autism spectrum disorders who need strong visual support with as little background clutter as possible, and for use in speech therapy sessions. 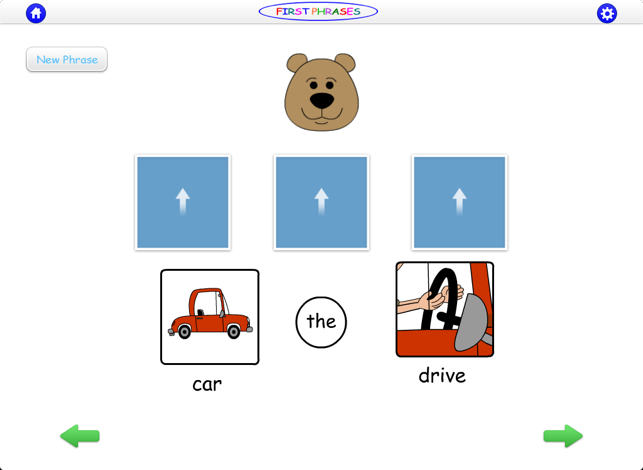 The format also is a terrific way to support early literacy for left to right orientation, reading (with text on feature) and word boundaries. 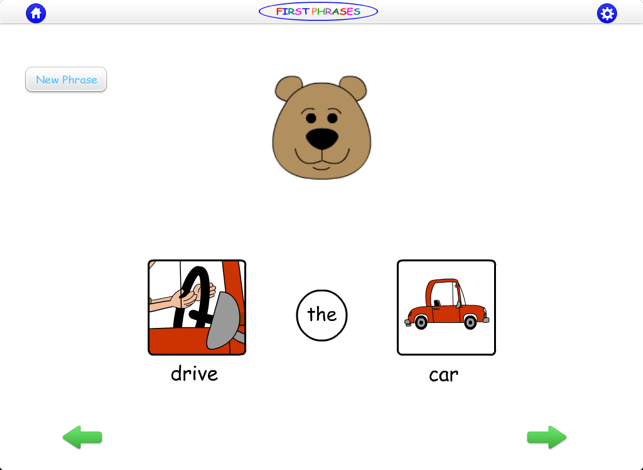 Options include text on/text off, recording feature on/off, girl or boy voice models, presentation of the phrase in 3 segments (verb + the + object) or 2 segments (verb + the object). 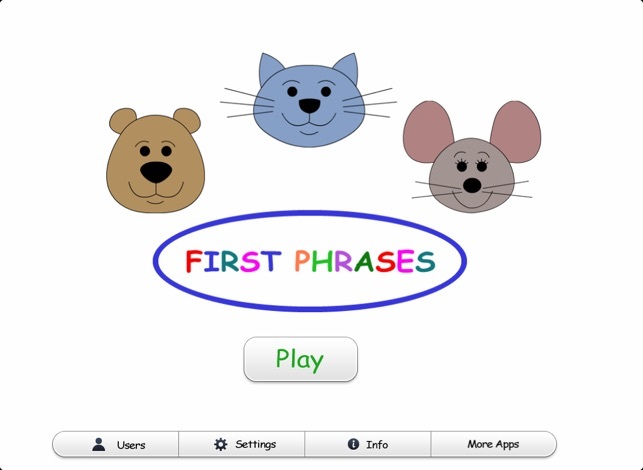 A perfect speech therapy app for children with special needs! One of my favorites BUT needs bug fixes! 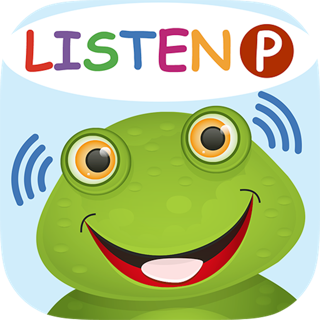 As a speech therapist this is one of my favorite apps and I used it all the time with my face to face clients. I now solely do teletherapy and would love to use this app with so many of my clients. I use Zoom web platform and when I screen share my iPad, it starts out fine and then disconnects my screen share when the animation starts. This is so frustrating because I know I could get so much use out of the app, but with that glitch it makes it u unsable. Please fix so I can love this app again! Excellent in the right therapist hands. 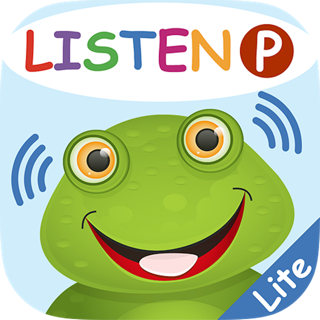 Keeps kids attention while helping to expand language skills in a functional way. Great range of items, good setting controls , and nice use of video and speech recording. Adult guidance is a must. Kids are very motivated and entertained while learning and practicing. While it's been over a year since your review, Apple is now allowing developers to respond to reviews, so we wanted to say "Thank you!" for rating and reviewing it. 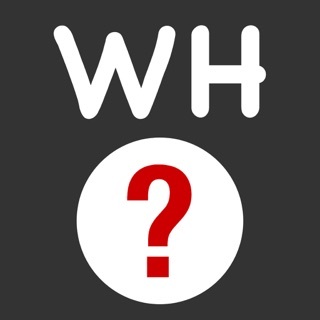 We hope you are continuing to enjoy the app!